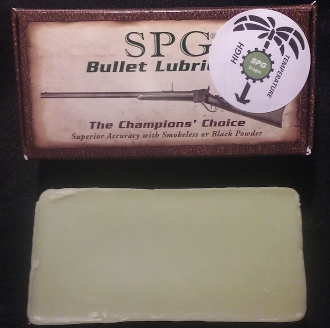 SPG Tropic Bullet Lube. Designed specifically for shooters that shoot in high/hot temperature environments or matches. For years there have been rumblings about many different lubes melting or fouling out in hot dry conditions. This is the answer for that. You need to try this stuff.